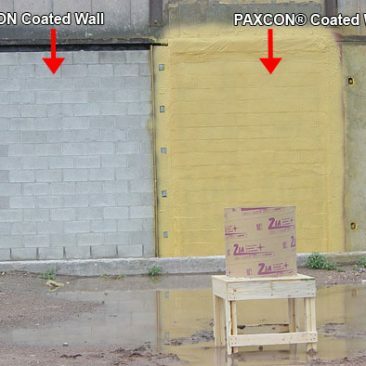 PAXCON® elastomeric polymer works exceptionally well with concrete block walls. The PAXCON® protective coating material is a proprietary elastomeric polymer that is flexible, ductile and has modest strength. It can be sprayed using standard Occupational Safety and Health Administration (OSHA) safety practices for a hazardous material. The thickness of application is relatively easy to control, and the polymer bonds to a wide variety of surfaces. 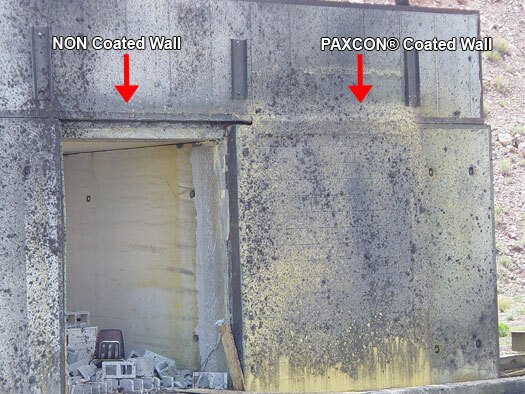 An 8-foot by 8-foot wall was coated inside and out with the PAXCON® polymer and successfully tested against 80+ psi blast pressures. Unreinforced concrete block infill walls typically shatter and fail at 2-4 psi pressures. 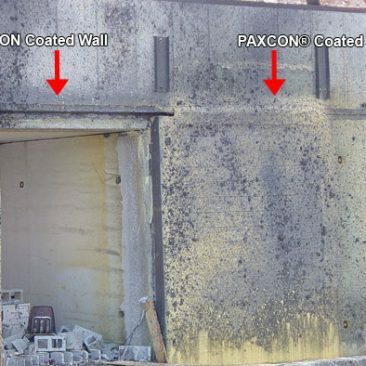 Although the PAXCON® coated wall experienced large deflections and the concrete block inside the PAXCON® polymer coating was severely fractured, the wall remained in place and no fragments entered the cubicle (as seen in the Post-Test image below). 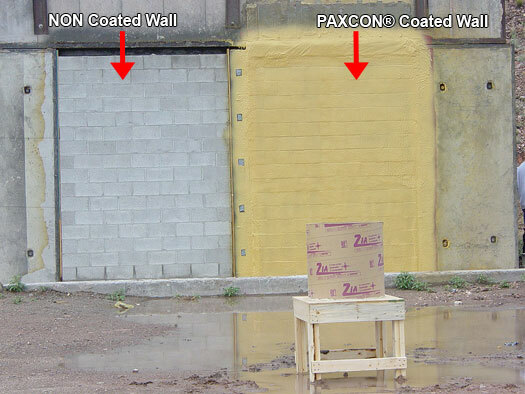 The PAXCON® polymer coating effectively contained the shattered wall fragments and would have prevented serious injury to persons inside the building. 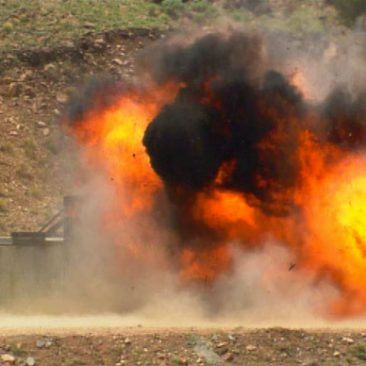 PAXCON by LINE-X has been put through numerous blast tests to make sure we can offer you the most efficient application for blast-mitigation. 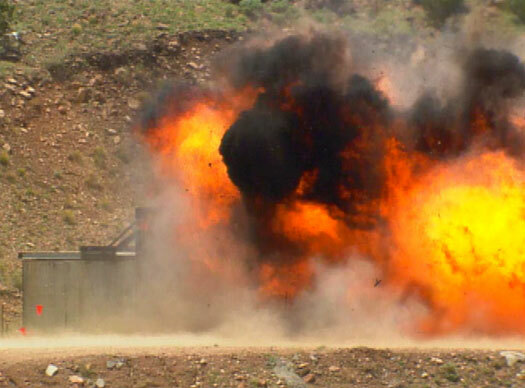 Here at LINE-X Distribution UK, we work directly with blast experts to calculate the perfect package for your requirements. Contact us today to talk about our Blast Mitigation Coatings by calling 0800 019867 or using the contact form below.